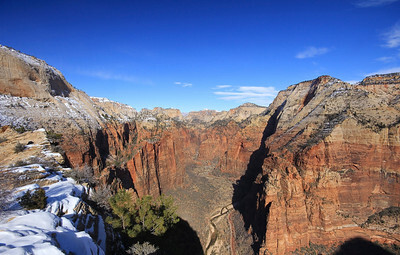 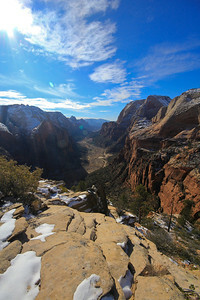 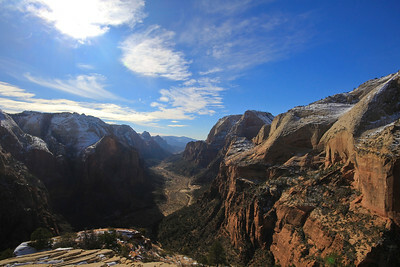 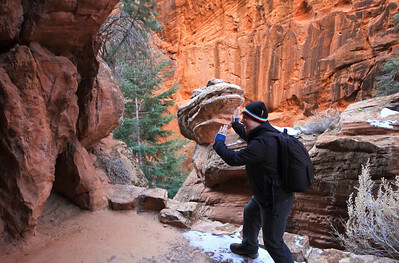 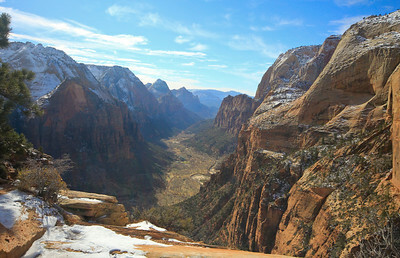 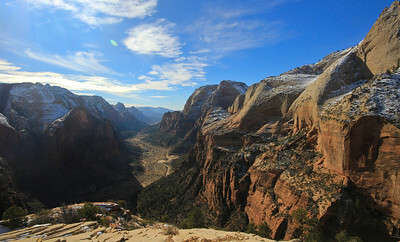 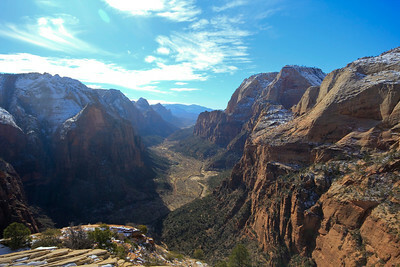 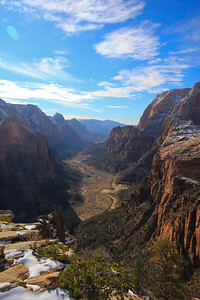 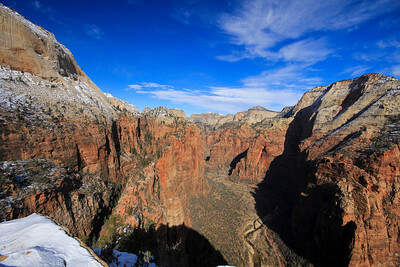 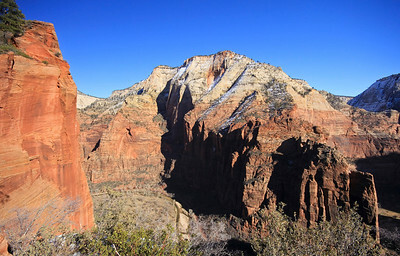 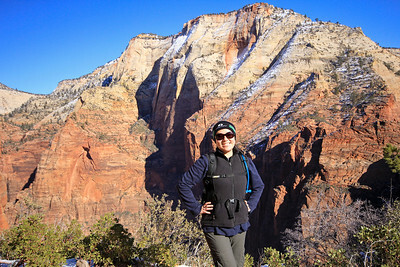 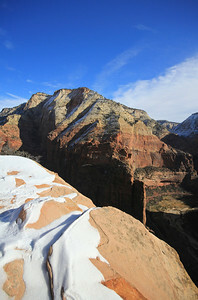 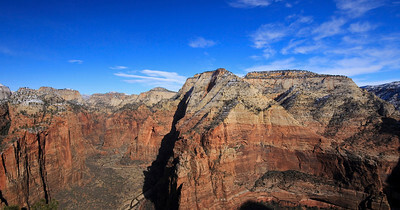 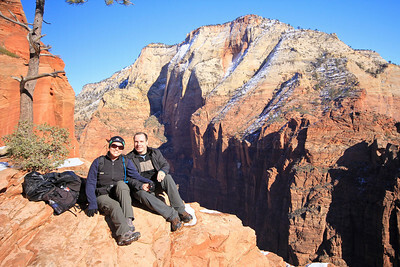 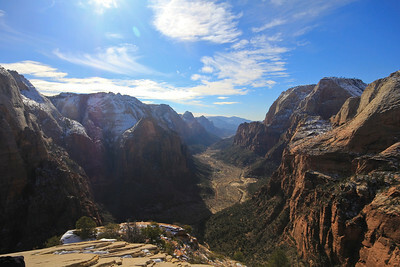 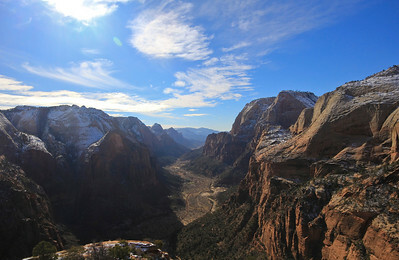 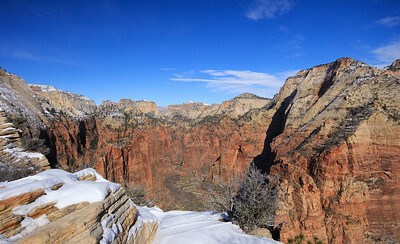 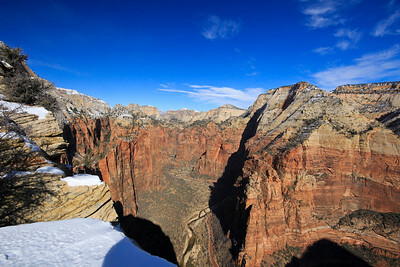 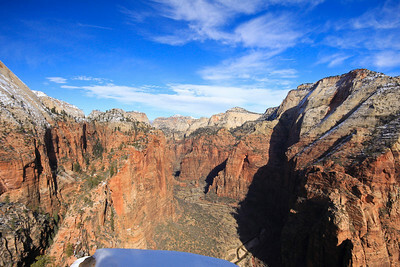 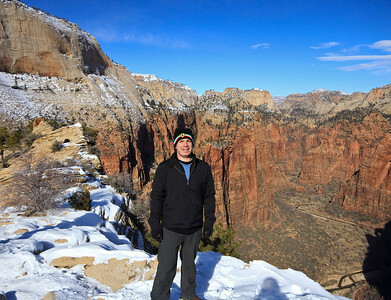 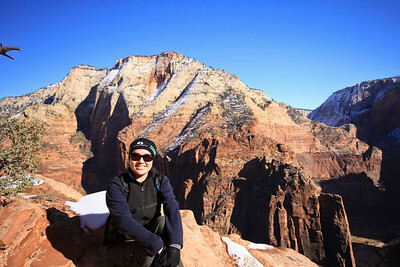 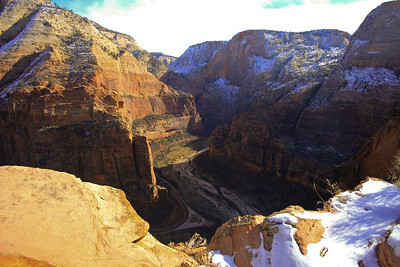 Angels Landing is known as one of the most difficult and dangerous hikes in the US - and being the crazy ones that we are, we hiked it in the snow and ice! 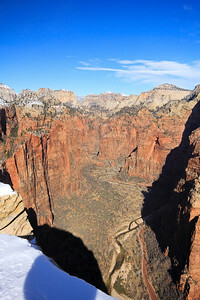 It has a strenuous vertical climb in a section called Walters Wiggles, where you ascend a rapid set of 21 switchbacks to reach the main ridge at Scouts lookout. 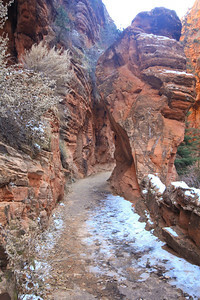 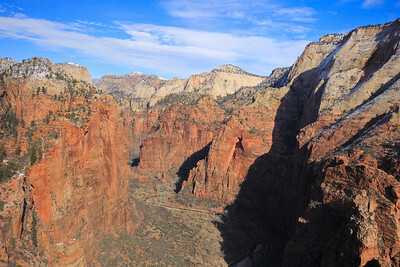 The real challenge though is the final half-mile along the knife edge rim. 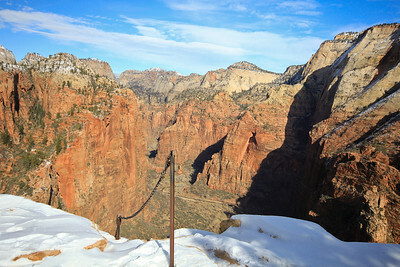 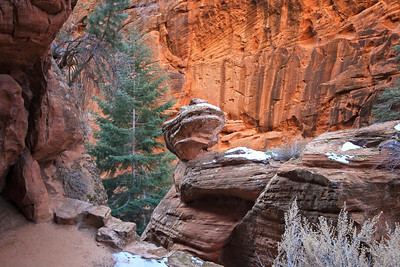 A nerve wracking climb where you hold onto anchored chains as you hike; the trail is barely a few feet wide with sheer drop-off cliffs on both sides. 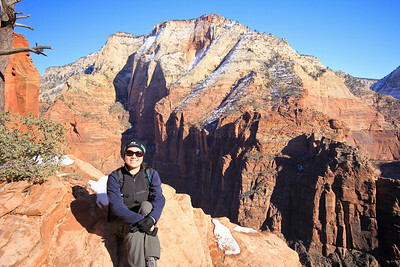 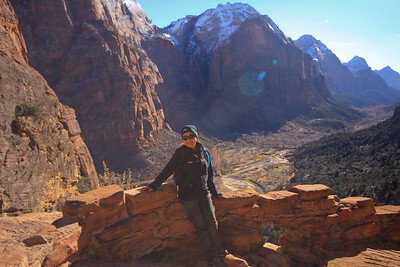 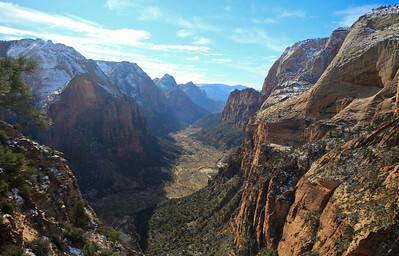 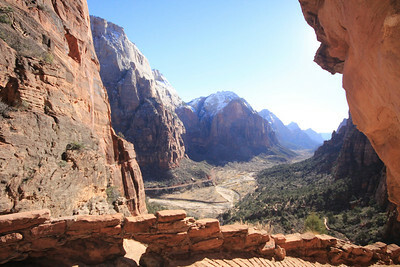 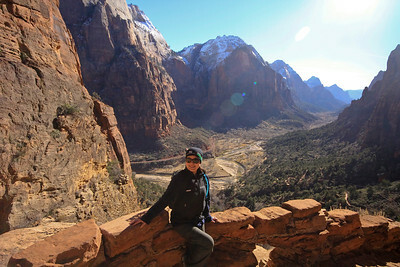 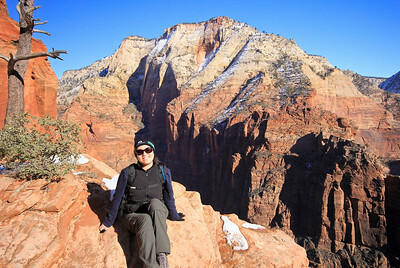 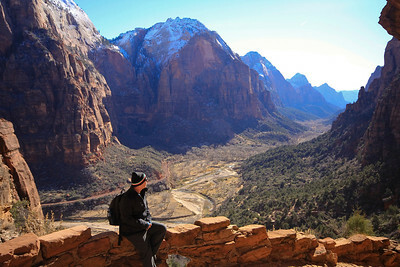 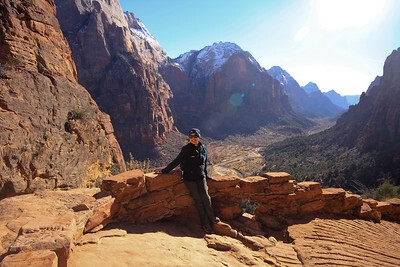 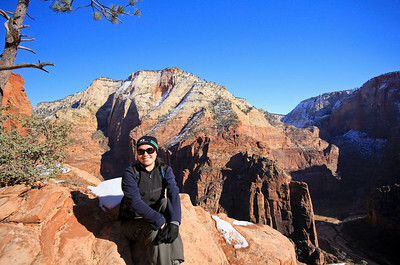 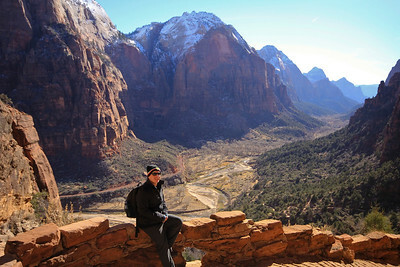 At the end you are rewarded with spectacular views of the Zion valley from the 1,500 ft ridge surging out of the valley floor.